The kinetic slide mechanism for a rapid and precise movement for high performance stripping. 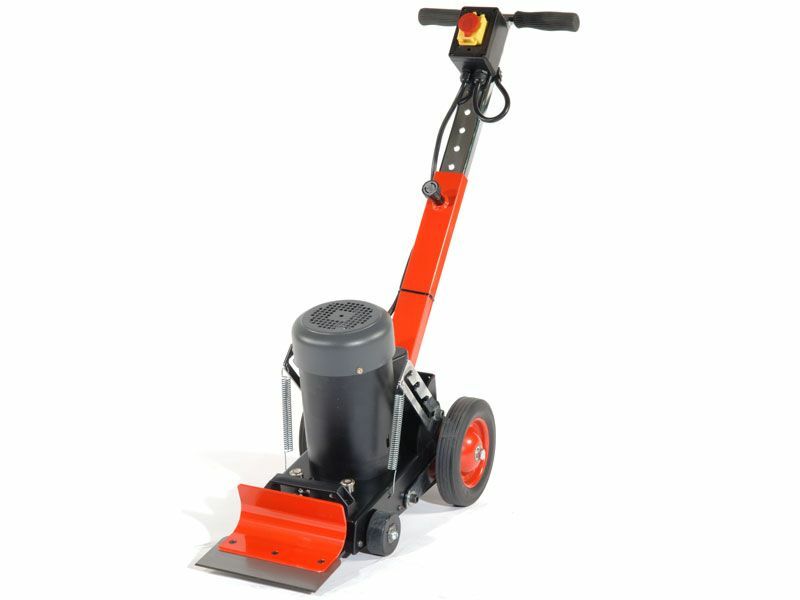 The TFS 230 is designed for the removal of linoleum, carpet vinyl and other floor coverings. 2 easy access greasing points reduce machine downtime and allows onsite maintenance. 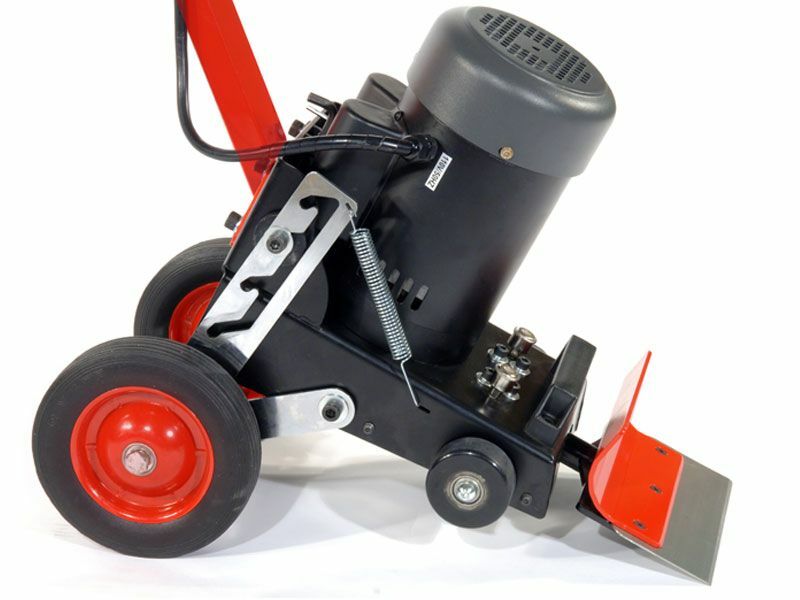 4 position foot operated pedal for a range of blade angles to suit various applications. Robust construction with sealed under carriage to withstand rough site use. Front support wheels for easy operation and transportation. Height adjustable handle for added operator comfort. 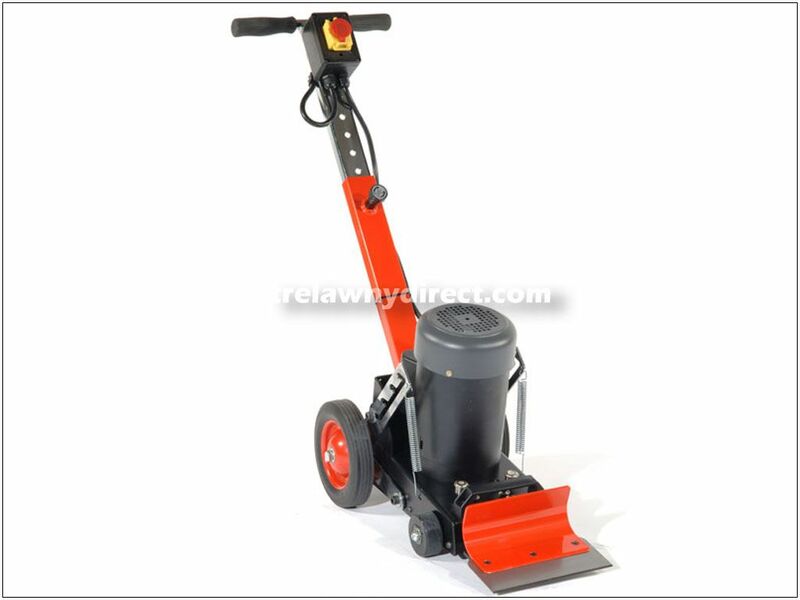 Fitted with a lifting handle for ease of transportation. Available in 110V & 230V motor options.